Highland County is located in the southwestern region of the state. 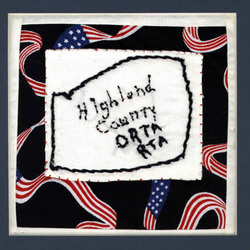 The ORTA Highland County RTA meetings are held four times each year at the senior citizens building in Hillsboro. We have one hundred two members and have an average of forty members attending each of the luncheons. Highland County RTA gives two educational scholarships to a Highland County graduate who will attend the Southern State Community College in Hillsboro each year.